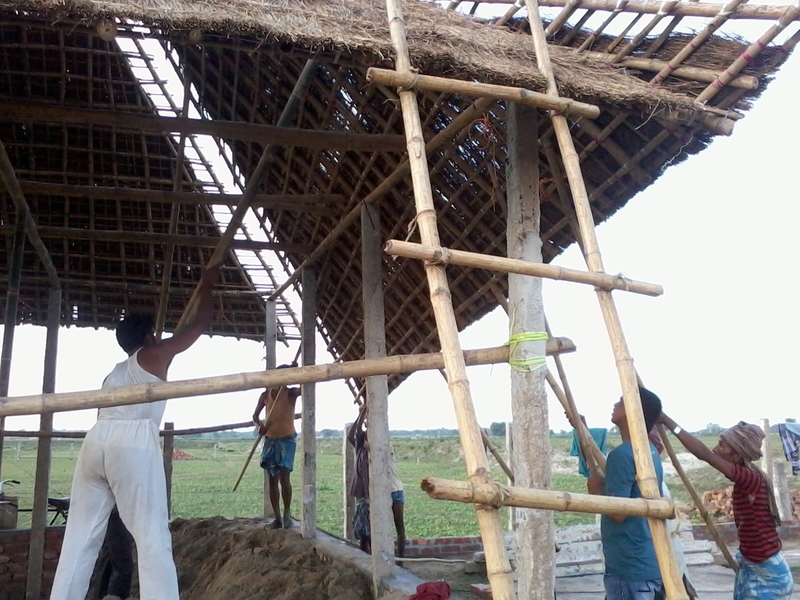 Ranjay and others mouting the roof of the hall. Tanveer and Ranjay, our long time saathis, have been instrumental in making it possible. The JJSS has been talking about the need to politicise its members, to talk about issues other than NREGA and other survival issues which would help us understand and form a common articulation on the issues of caste, class, gender and religion. Each such effort has been in the form of meetings, held in rented spaces, sometimes with the rent reduced or written off. 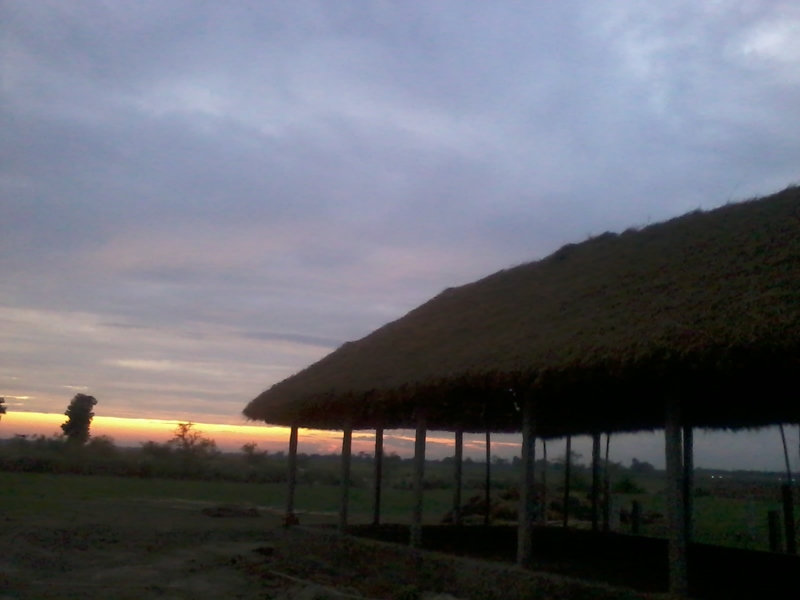 The plan to have a space of our own finally has taken some shape with our centre, in Araria. Built on 5 katthas (abt 4000 sq feet of land) the centre has three hutments, one being a kaccha hall that can accommodate about 200 people. 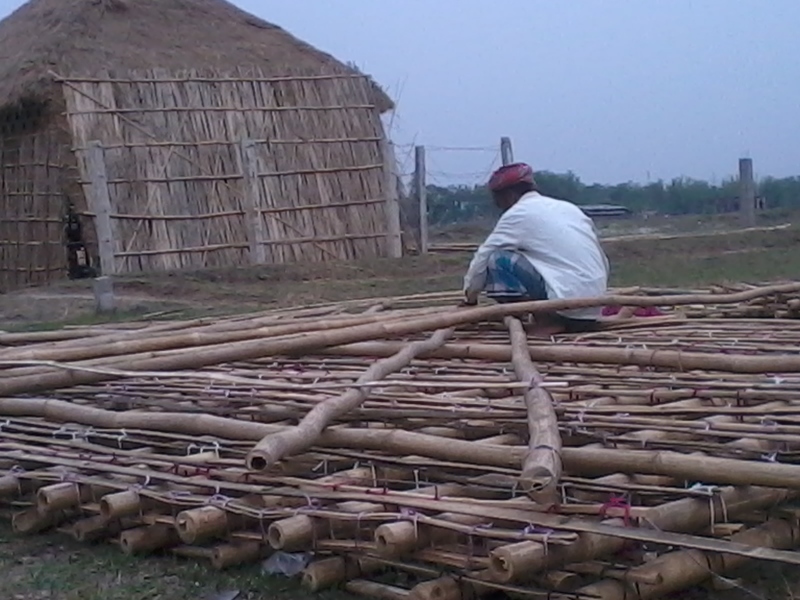 Local “Mistri” building the roof. Material as well as the labour is all local. It all started with Madhulika and Ashutosh Swami giving us the right to use 50% of their land to build a centre, till we find better options, without having to pay rent. Ashish, a key supporter and volunteer of the JJSS put in another 3 lakh 15 thousand rupees for the construction and Vibhore pitched in with 30000 rupees, and we now have a physical space to further strengthen our nirmaan and sangharsh work. Center is situated about 3 Km from the main town and sometime you can get a view of the Himalayas if you look up north.